In todays episode we head back to one of our most popular episodes with Bec Derrington. Bec is the founder of SourceBottle – a free global service that pools together expert sources for journalists, bloggers and reporters in the United States, Canada, the United Kingdom, Australia and New Zealand. 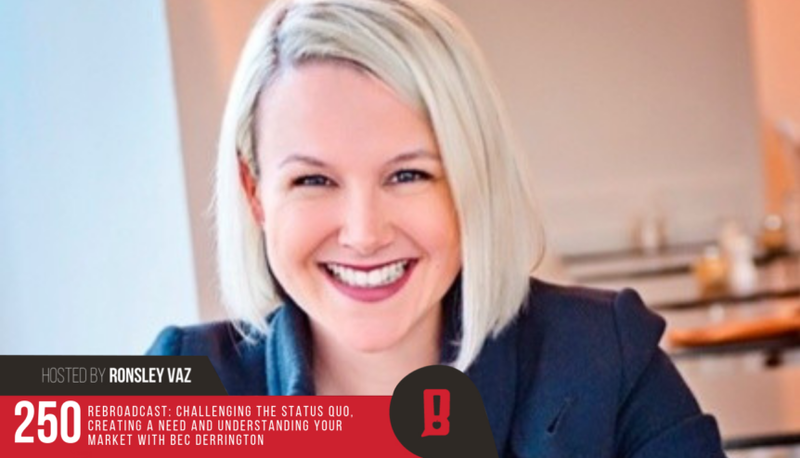 Bec was formerly a marketer, business developer and PR professional for mid-to-large corporates and membership associations in the services industry. After the birth of her first child, she started Wagging Tongues consultancy, which she continued working with until she decided the world needed an easier way for journalists and bloggers to find incredible sources for their stories. Bec shares with me the struggles of SourceBottle, creating an education for the demand, subsidising business through consultancy, reaching the milestone of 5,000 subscribers, trying to make something work on the market and how to educate a market that didn’t even know they needed you.